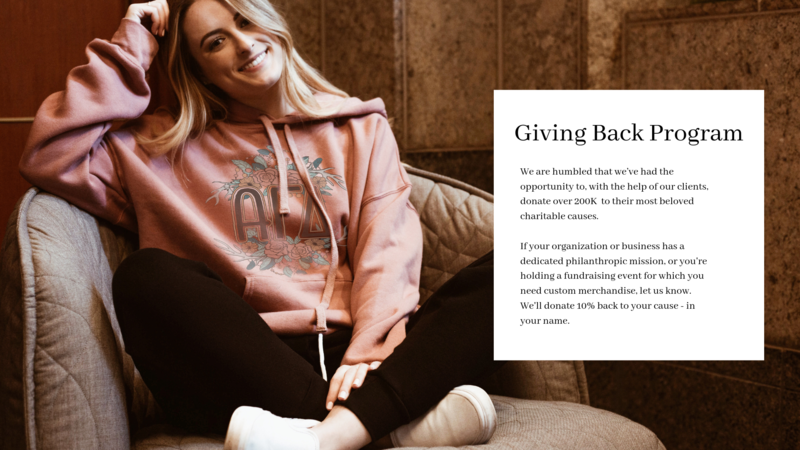 If your custom order is for a fundraiser, philanthropic event or any other mission supporting a charitable cause, please submit your order inquiry here, noting the cause. We'll donate 10% back to that charity on all qualifying philanthropy orders. Additionally, if you're hosting a fundraising event in our area, let us know. Our staff loves participating in our clients' charity events, from the LLS Pineapple Classic to Chi Omega's Make-A-Wish Foundation fundraising cookout. We welcome your invitations. 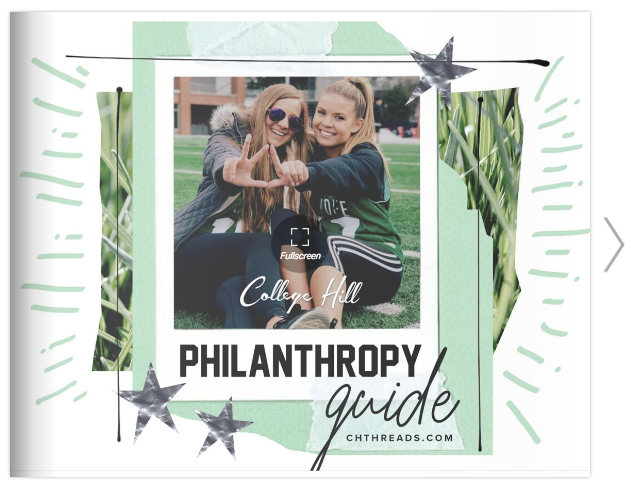 If you're looking for design inspiration, take a look at our collegiate philanthropy guide below. All of those designs, as well as anything you see in our gallery, can be fully customized for any organization, business or event.